Nike is offering an extra 20% off over 3,000 deeply discounted Sale Styles for the Family with coupon code SAVE20. Save on footwear, apparel, accessories, and more. And, Nike+ members receive free shipping, not a member? It's free to join on their site. Sale ends April 21st. Through Wednesday night, Nike has up to 65% off over 3,100 Sale Styles for the Family, plus take an extra 20% off with coupon code SAVE20. Save on footwear, apparel, accessories, and more. And, Nike+ members receive free shipping, not a member? It's free to join on their site. Limited time sale! Nike is having a Men's Clearance Converse Sale with up to 50% off a selection of shoes, apparel and accessories, plus take an extra 30% off with coupon code 30ALL. And, Nike+ members receive free shipping, not a member? 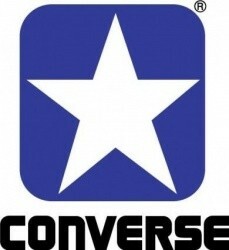 It's free to join on their site, or all Converse orders of $50 or more receive free shipping. Hurry for the best selection. Nike is having a Winter Clearance Sale with up to 50% off over 3,500 styles for the family, plus take an extra 20% off with coupon code SAVE20. Save on footwear, apparel, accessories, and more. And, Nike+ members receive free shipping, not a member? It's free to join on their site. Offer ends Monday at 9:00pm PST. Nike is having a huge Clearance Sale and offering an extra 25% off over 3,800 already reduced styles for the family with coupon code SAVE25. Save on footwear, apparel, accessories, and more. And, Nike+ members receive free shipping, not a member? It's free to join on their site. Offer ends Jan. 5th. Nike.com is offering an extra 20% off over 1,000 Summer Style Sale Items for the family with coupon code HOT20. Save on footwear, apparel, accessories, and more. And, Nike+ members receive free shipping, not a member? It's free to join on their site. Offer ends August 11th. Nike.com is having a Converse Flash Sale with up to 60% off over 150 styles for the family. And, Nike+ members receive free shipping, not a member? It's free to join on their site. 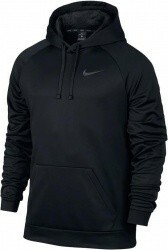 Nike.com has the Nike Men's Therma Training Hoodie in your choice of several colors for $19.98 with coupon code 20SUMMER. And, Nike+ members receive free shipping, not a member? It's free to join on their site. Deal ends Saturday. Nike.com has the Nike Men's Therma Training Pants in your choice of Gray or Black for $21.58 with coupon code 20SUMMER. And, Nike+ members receive free shipping, not a member? It's free to join on their site. Deal ends Saturday. Nike.com is offering an extra 20% off select Summer Style Sale Items with coupon code 20SUMMER. Save on footwear, apparel, accessories, and more. And, Nike+ members receive free shipping, not a member? It's free to join on their site. Offer ends Saturday. Nike.com has up to 50% off over 2,900 clearance items during their Memorial Day Sale. Deals start at only $3.97. And, Nike+ members receive free shipping, not a member? It's free to join on their site. Sale ends Monday night. Nike.com is having a 2-Day Converse Sale and offering an extra 30% off almost all Converse items for the family, including sale items with coupon code CONS30. And, Nike+ members receive free shipping, not a member? It's free to join on their site. Sale ends Wednesday night. Nike.com is offering an extra 20% off over 1,900 already reduced items with coupon code 20SPRING. And, Nike+ members receive free shipping, not a member? 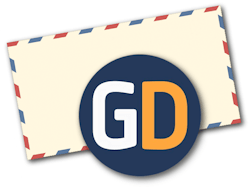 It's free to join on their site, or pay $5.00 for $2-day shipping - see site for details. Offer ends Tuesday. Today only, Nike.com is having a Flash Sale with up to 50% off select apparel and footwear for the family, discounted prices are shown. And, Nike+ members receive free shipping, not a member? It's free to join on their site. Nike.com is offering an extra 25% off already reduced prices of Converse Sale Items for the family with coupon code CHUCK25. And, Nike+ members receive free shipping, not a member? It's free to join on their site. Sale ends Thursday night. Nike.com has up to 60% off off over 4,300 Sale Items including footwear, apparel, accessories, and more, discounted prices are shown. (We found deeper discounts than those advertised). Prices start at only $5.97. And, Nike+ members receive free shipping, not a member? It's free to join on their site. Offer ends Saturday. 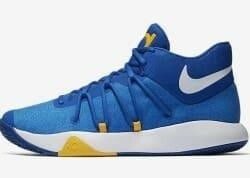 Nike.com offers their Nike Men's KD Trey V Basketball Shoes in Blue / Gold for $48.73 when you apply coupon code 25OFF. And, Nike+ members receive free shipping, not a member? It's free to join on their site. Offer ends Saturday. Nike.com has the Nike Men's Roshe Two Flyknit Shoes in several color choices for $59.98 when you apply coupon code 25OFF. And, Nike+ members receive free shipping, not a member? It's free to join on their site. Offer ends Saturday. Nike.com is offering an extra 25% off over 4,300 Sale Items already marked down to up to 60% off with coupon code 25OFF. Save on footwear, apparel, accessories, and more. And, Nike+ members receive free shipping, not a member? It's free to join on their site. Offer ends Saturday. 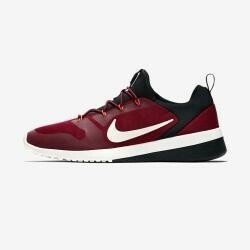 Nike.com has the Nike Men's CK Racer Shoes in Your Choice of Several Colors for $49.97, apply coupon code 25OFF and your price drops to $35.98. And, Nike+ members receive free shipping, not a member? It's free to join on their site. Offer ends Saturday. Nike.com is offering an extra $20 off orders of $100 or $35 off $150 or more sitewide including full-price and clearance styles with coupon code SAVEMORE. And, Nike+ members receive free shipping, not a member? It's free to join on their site. Offer ends Wednesday. Nike.com is having a 2-Day Converse Sale and offering 60% off boots for men, women and kids, discounted prices are shown. And, Nike+ members receive free shipping, not a member? It's free to join on their site. Sale ends Wednesday night. Nike.com has the Nike Men's SB Delta Force Vulc Skateboarding Shoes in your choice of Black/University Red or Black/Anthracite for an in-cart price of $18.73. And, Nike+ members receive free shipping, not a member? It's free to join on their site. Deal ends Thursday. 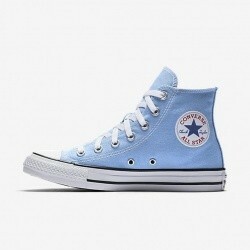 Nike.com has the Converse Unisex Chuck Taylor All Star High-Top Sneakers in Blue for an in-cart price of $22.48. And, Nike+ members receive free shipping, not a member? It's free to join on their site. Deal ends Thursday. Nike.com takes an extra 25% off over 4,000 select Sale Items, discount automatically applies at checkout. And, Nike+ members receive free shipping, not a member? It's free to join on their site. Sale ends Thursday. 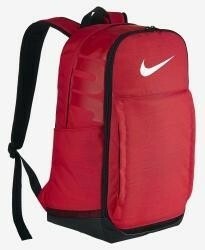 Nike.com has the Nike Brasilia XL Padded Shoulder Training Backpack in Red for an in-cart price of $18.73. And, Nike+ members receive free shipping, not a member? It's free to join on their site. Deal ends Thursday. Nike.com is having a Winter Flash Sale with up to 50% off winter outerwear and footwear styles for the family. And, Nike+ members receive free shipping, not a member? It's free to join on their site. Sale ends Tuesday at 10pm PST. Nike.com is having a Last Chance Sale with up to 50% off hundreds of last season's styles for the family. And, Nike+ members receive free shipping, not a member? It's free to join on their site. Nike.com is having a 2-day Clearance Sale with up to 60% off over 4,000 items including footwear, apparel, accessories, and more, plus, you will get an extra 25% off at checkout. And, Nike+ members receive free shipping, not a member? It's free to join on their site. Offer ends Thursday night. Through Sunday, Nike.com is offering an extra $20 off orders of $100 or more sitewide including full-price and clearance styles with coupon code HOLIDAY20. And, Nike+ members receive free shipping, not a member? It's free to join on their site. Nike.com has the Nike Men's Tanjun Premium Casual Sneakers in your choice of several colors for $39.98 with coupon code 20EXTRA. And, Nike+ members receive free shipping, not a member? It's free to join on their site. Deal ends Monday. Nike.com is having a Clearance Sale with up to 60% off over 2,700 items including footwear, apparel, accessories, and more, plus, take an extra 20% off with coupon code 20EXTRA. And, Nike+ members receive free shipping, not a member? It's free to join on their site. Offer ends Monday. Nike.com is having a Clearance Sale with up to 60% off over 2,200 items including footwear, apparel, accessories, and more, plus, take an extra 20% off with coupon code SUMMER20. And, Nike+ members receive free shipping, not a member? It's free to join on their site. Nike.com is having a Flash Sale with up to 50% off select apparel and footwear for the family, discounted prices are shown. And, Nike+ members receive free shipping, not a member? It's free to join on their site. Sale ends Friday at 2:00 pm PDT. Nike.com has 40% to 60% off select Hurley Wetsuits and Accessories for the family, plus, take an extra 20% off with coupon code CUTBACK. And, Nike+ members receive free shipping, not a member? It's free to join on their site. Sale ends Saturday. 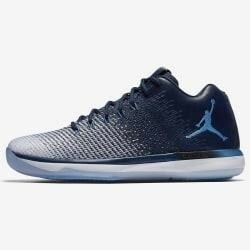 Nike.com has the Nike Men's Air Jordan XXXI Low Basketball Shoes in your choice of several colors for $96.97. And, Nike+ members receive free shipping, not a member? It's free to join on their site. Deal ends Wednesday. Nike.com is having a Summer Sale with up to 50% off hundreds of deals for the family. And, Nike+ members receive free shipping, not a member? It's free to join on their site. Sale ends Wednesday. 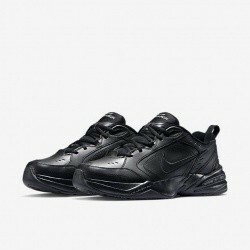 Nike.com has their Nike Men's Air Monarch IV Shoes in choice of Black or White Black for $43.98 with coupon code SUMMER20. And, Nike+ members receive free shipping, not a member? It's free to join on their site. 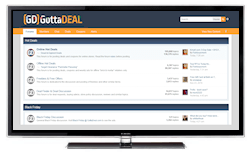 Deal ends Tuesday. 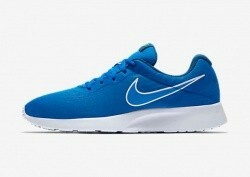 Nike.com offers their Nike Men's Zoom Train Complete Shoes in your choice of Blue or Green/Black for $54.97. You will also get free 2-day shipping on this item when you apply coupon code 2DAY4DAD, and choose the 2-day option at checkout. Deal ends Wednesday. Nike.com is having a Flash Sale with up to 60% off apparel and footwear for the family. And, Nike+ members receive free shipping, not a member? It's free to join on their site. Sale ends Wednesday at 9pm PDT.